you will find listed in chronological descending order in the same menu item. We determine the winners comprehensive and symbolic for the new consciousness. Fly the flag and link on your homepage to Mind Award. How does it work? It's simple: Click here to download our logo. Thank you for your "conscious" support. For a golden Future. Please see here now our prize-giving video. Courtesy of the local stations tvm / WWTV. MIND AWARD 2017 = award winners in the category "Art & Culture"
The editorial team and the whole team of the "program with the mouse" at WDR receive the MIND AWARD 2017 in the category "Art & Culture". The jury awarded this award for their continuing and long-term basic education since March 1971, in conjunction with the special merits for pedagogically innovative knowledge transfer. As a family transmission, the program with the mouse is characteristic for generations and people of any colors. In addition, the "Stories to Laugh and Learn" have an intercultural value integration for children of all ethnic origin. To this day, their learning-experiences from childhood sounds in everyday practice situations on adults. Already the bilingual preamble with overview of the respective topics first in German, followed by another language (with elucidation of the language), has a linguistic support and interest-inducing. The laughter stories (for stimulation and entertainment) and Learning stories (for the purpose of knowledge transfer) following each broadcast are separated by the so-called "mouse-spots". The special thanks of the jury goes to the television makers Gert Kaspar Müntefering for the idea, as well as Armin Maiwald, Dieter Saldecki and Monika Paetow for the pioneering work and participation from the early age. Actually, it does not bode well if a mouse puts her pretentious nose into the grocery store. In this case, however, the illustrator Isolde Schmitt-Menzel had invented an orange-colored, clever mouse for her picture story "The Mouse in the Shop". Trick director Friedrich Streich developed 1971 the first so-called mouse spots. They are the link between the individual laughter and learning stories. More than 3,700 »laugh stories« are now available in the "Maus"-Archive. Trickseries, picture stories, poems, songs and video clips count among them. Many cartoon characters celebrated their TV shows here and later got their own shows. That was the case with the little polar bear Lars, Janosch's bear and tiger, and Helme Heine's three friends from Mullewapp. 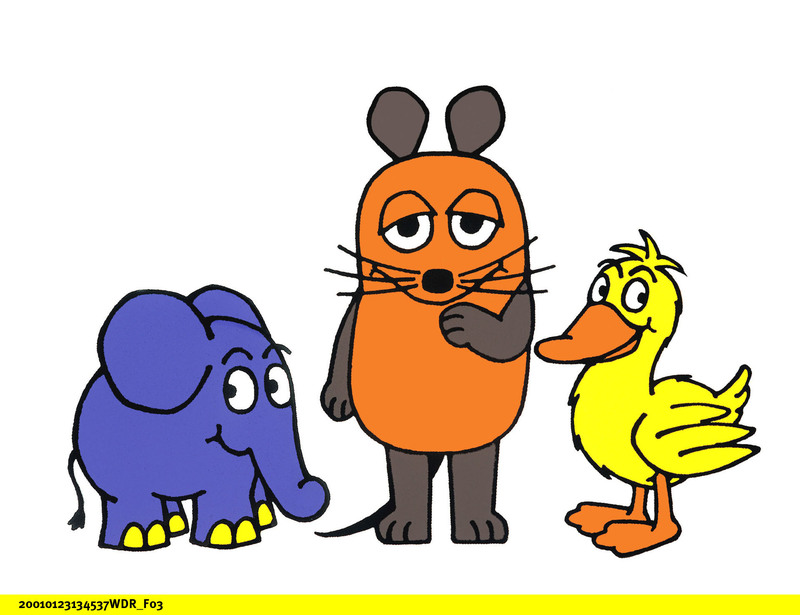 Also the "litlle mole", "Käpt'n Blaubär" and "Shaun the Sheep" were known by "The program with the mouse"
It all began with the film about an egg: already 1969 (two years before the mouse premiere and four years before the "Sesamstreet" came to Germany) Armin Maiwald turned the first three learning stories "egg", "milk", "rolls" WDR children's television. From A to Z there is almost no topic left, which has not been explained by Armin (Maiwald), Christoph (Biemann), Ralph (Caspers), Johannes (Büchs), Siham (El-Maimouni), Malin (Büttner), Andrè (Gatzke) and the mouse team. Much quoted: How come the holes in the cheese? Who paints the strips in the toothpaste? How to make chewing-gum? And how do you get rid of it? (See the article " chewing-gum removal machine"). When children ask and parents do not know any more, it is often said "ask the mouse!" Send appointments: Sunday, 9:30 am in the first program ARD and 11:30 am in the KiKA channel - and around the clock at www.die-maus.de as well as in the mouse app. For decades, Beate Heinen has created a variety of impulses for the development of consciousness through her works of art, and especially through her personal presence in appearances, as well as in the Rhein-Zeitung's (daily newspaper) thought section "Nachgedacht". It is the award especially for her artistic education work since the 1980s, which has a happy effect on two generations of readers and viewers and also connects secular and spiritual points of view in a life-like manner. Ms Heinen, in her personal attitude as well as in action, sets out what is most urgently needed in our world: hope. Her works bring compassion through understanding. Beate Heinen touches the people deeply - in real encounters and every day new through her reflection graphics. Therefore she is awarded the MIND AWARD for her life and work. Beate Heinen (born 1944 in Essen) started her artistic career in 1960 with a study at the Werkkunstschule in Cologne. At the age of 19, she joined the Benedictine Abbey of St. Hildegard Rüdesheim-Eibingen as a sister Felicitas, and during this time she had a multifaceted artistic ambition. During this time she also met Father Drutmar Cremer from the art publishing house Maria-Laach, who became aware of her painting "Moses before the burning thornbush" in 1971. Over the years, a fruitful and successful collaboration developed, which made Sister Felicitas realize that she had to find a new form for her way of life and education. Thus, in 1974, before the last vows she left the monastery and began her path as a freelance artist. After a strong creative and effective phase in the Cologne-Bonn area, Heinen moved to the Brohltal in the late seventies. In 1983 her daughter Elisabeth was born and on 25 January of the next year she began her collaboration with the Rhein-Zeitung. The intensified collaboration with "Kunstverlag Maria-Laach" and the Koblenz' newspaper led to the move to Wassenach near Andernach in 1985, where it still lives today. In addition to the daily illustrations for the Rhein-Zeitung and the production of the various motive-cards and books, the following years were characterized by numerous commissioned works for churches, chapels and congregations. To this day, their work and activities are still framed by numerous national exhibitions. Deva Premal and Miten are well known for her soul-touching music since the nineties. They are taking influence to all human-beings for a higher mind and to people of power, either just indirectly by deep listening or by visiting their concerts or spontaneous acting on spiritual meetings. Both have reached peace of mind and brought down the ancient Sansrit verses into a perfect harmony of modern melody. Their work and life can be taken as an ideal of combination of opposites, visible and non-visible worlds and reaching the mind of the heart. For this "essential" achievement and life they will be honoured with the MIND AWARD in the category "art & culture" 2017. Flame carriers of a 5,000 year old tradition, Deva Premal and Miten are at the forefront of the burgeoning world-wide chant phenomenon. They are one of the major contributors to the soundtrack of just about every 21st century alternative healing modality, from rehab/detox/stress management clinics to yoga studios, spas and meditation centres, shamanic gatherings and ceremonies in the depths of the Amazon, and throughout the world. 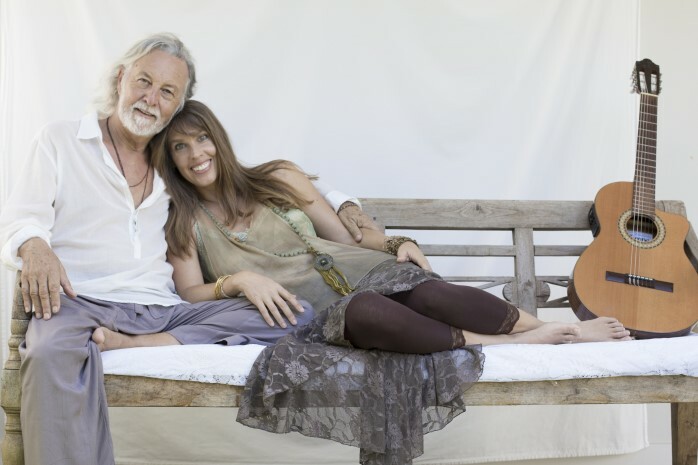 Since the release of "The Essence" in 1997, Deva & Miten have tapped into an apparently unending stream of uplifting and inspirational music, with 21 albums released, and sales of nearly 1.5 million. They grace festivals, concert halls, rock venues and cathedrals around the planet. Their ‘fans’ – people who have wandered through the darker and more foreboding landscapes of our modern existence, include not only such diverse luminaries as Cher (who recorded and performed their version of the Gayatri Mantra) and HH Dalai Lama, life coach and motivational guru Tony Robbins and author Eckhart Tolle. Since the seventies, the journalist and presenter Rainer Holbe has been culturally enriching in the area of social acceptance of spirituality and consciousness. Both in personal encounters, man takes the awe of unknown things, as well as on the stage of the media. A wide audience is known by radio broadcasts and TV formats like the show "incredible phenomena". He continues to work as a researcher and moderator, and has managed to make things more intimate. "In addition to the question of the genesis of the universe, the search for consciousness is the utmost striving of the human mind for knowledge", notes Rainer Holbe (77) in his book "Hidden Realities". In this he summarizes the experiences from his countless radio and television broadcasts and the more than 30 books. Holbe began his journalistic career at the "Frankfurter Rundschau", moderated for the ZDF the legendary "Starparade" before he worked for Radio Luxemburg and the later RTL television. There, together with program director Frank Elstner, he developed the format "Incredible Stories", in which he sought for apparently paranormal processes according to scientific explanatory models. Holbe has received numerous awards for his publicity, among others at the University of Bern with the prestigious "Swiss Prize", as well as on the TV with the "Golden Camera". An interview with the Nobel laureate Sir John Eccles - author of the book "The I and his Brain" - brought him to a track, which he still follows today: the search for consciousness. "It allows us insights like: I am, I know I am, and I know that I know I am," says Holbe. The book author and artist Sabrina Fox has helped a lot of people through their work and nature in their personal and spiritual development. She works not only as a sculpture-maker, but also as a mentor (as in angel sculpture) and as a book author, as well as a lecture speaker, she helps people with practical help in their personal development. For her attitude in life, her values and her undogmatic faith, she receives the MIND AWARD. Sabrina Fox has been studying and teaching holistic topics and the body-mind-spirit connection for over 25 years. She has authored more than a dozen books and given countless workshops and inspirational talks on the subject. She is known for her “down-to-earth” approach to spirituality and considered a pioneer of the spiritual women's movement. To trust ones own intuition is a corner stone in her teachings with she shares through a mix of clarity, warmth, openness and humour. She suggests different possibilities to more awareness and change, including ways to more self-love and courage, furthermore a clearer understanding of mindfulness and intuition. 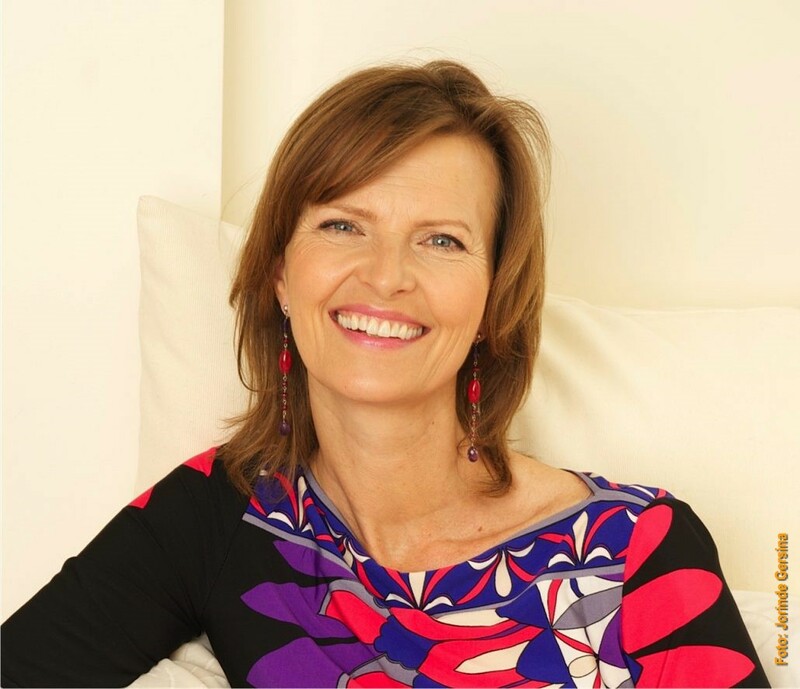 She is a best-selling author of over a dozen books and completed studies as a clinical hypnotherapist, mediator and conflict coach. She has also studied sculpture, voice and rhythm. She is walking barefoot since summer 2014. Sabrina lived in California for 16 years and returned to her native Germany in 2005. In addition to her work as a spiritual teacher she enjoys drumming and improvised singing. Sabrina is the mother of a grown daughter and a motherly friend to two stepchildren. She lives with the painter Stanko near Munich.